Convenient and affordable, just $1.67 per meal or less! 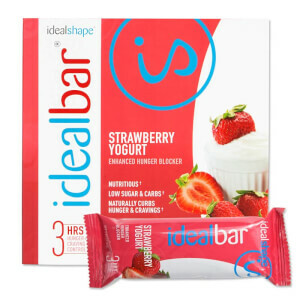 Strawberry IdealShake tastes delicious with water or milk, or blended into juice and milk based smoothies! It’s a cold hard fact: if you can’t control your hunger and calorie intake, you can’t lose weight. 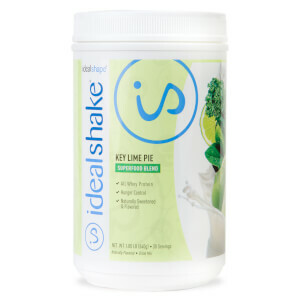 IdealShake makes it easy with a meal replacement shake that has been shown to control hunger for up to 3 hours. Plus, with our new and improved Strawberry IdealShake you'll be getting 11g of 100% whey protein. After carefully considering your feedback we’re excited to transition to a new, all whey protein formula. Whey protein is easy to digest and quickly absorbed by your body. The new all whey formula gives IdealShake a velvety-smooth, rich and thick texture. Replace 1 or 2 meals a day with IdealShake to help you see amazing weight loss results when combined with a healthy lifestyle and physical activity. In addition to feeling fuller between meals, you’ll get daily nourishment with whey protein, fiber, and 22 vitamins and minerals. IdealShakes make a great base for juices and smoothies. Or keep it simple and just add water! With IdealShake you’ll never have to "cheat" on your diet... but it might FEEL like you are! Most meal replacement shakes don’t fill you up enough to get you to your next meal. 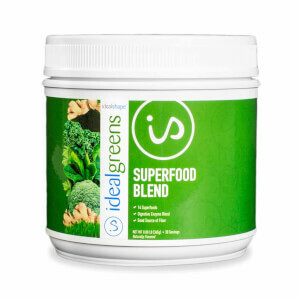 We use a unique blend of protein, fiber and the hunger-blocker Slendesta, a potato protein extract with no reported side effects. You won't find it in any other shake on the market. IdealShape Protein Blend (Whey Protein Concentrate, Whey Protein Isolate), Sunflower Oil Creamer, Maltodextrin, Cellulose Gum, IdealShape Hunger Blocker Blend (Inulin, Potato Protein Extract), Dicalcium Phosphate, Natural And Artificial Flavor, Magnesium Oxide, Salt, Beet Juice (Color), Absorbic Acid, Sucralose, Artificial Flavor, Vitamin E, Copper Gluconate, Biotin, Potassium Chloride, Niacinamide, Vitamin A Palmitate, Calcium Pantothenate Acesulfame Potassium, Electrolytic Iron, Bromelain, Papain, Digestive Enzyme Blend (Amylase, Protease, Lipase, Cellulase, Lactase), Zinc Oxide, Cholecalciferol, Pyridoxine HCI, Thiamine Hydrochloride, Riboflavin, Cyanocobalamin, Folic Acid, Potassium Iodide. Contains Milk and Soy lecithin. Soy lecithin is not Soy protein. I look forward to my shake everyday. Great in between meals when I’m craving something sweet. This is my go to for lunch. I have been drinking this for lunch for about two months and it is delicious and I am not getting tired of it. I'm a strawberry fan and was hoping this would do the trick as healthy version to shake but alas it tastes just like any other strawberry protein shake...very artificial tasting. I am very picky, and I am have trouble with things not tasting good,dont know if it's from my meds or what but anyways,, I absolutely love this flavor. It is the only one I drink. My favorite. If you cant choose one always go for the strawberry one. 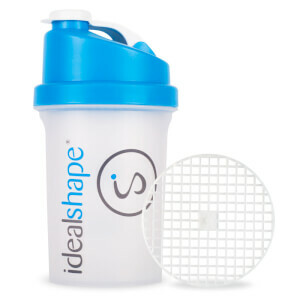 I do like the IdealShake product. However, what your system calls sales is not really a sale. it is just the regular price that is claimed to be a discount. Didn't love or hate it. It's definitely an artificial strawberry taste. If you love real strawberry flavor - this is not for you. I will not purchase again. This is my favorite flavor for sure!